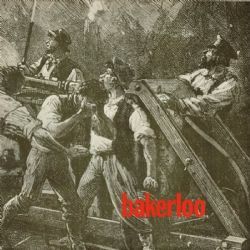 Esoteric Recordings are pleased to announce the release of a newly re-mastered and expanded edition of the classic self-titled 1969 album by BAKERLOO. Esoteric Recordings are pleased to announce the release of a newly re-mastered and expanded edition of the classic self-titled 1969 album by BAKERLOO. This Progressive Blues outfit formed in Staffordshire in 1968 and comprised Dave “Clem” Clempson (vocals, guitar, harmonica, keyboards), Keith Baker (bass) and Terry Poole (drums). Originally known as The Bakerloo Blues Line, the band emerged at the tail end of the British Blues boom, and soon expanded their musical horizons with Clempson’s exceptional guitar playing ability at the heart of their live shows. After shortening their name to Bakerloo, the band signed to Birmingham promoter Jim Simpson’s Big Bear stable of artists, embarking on “The Big Bear Ffolly Tour” in the Autumn of 1968 with fellow acts Locomotive, Earth (later to change their name to Black Sabbath) and Tea and Symphony. Soon after Bakerloo had the distinction of supporting the newly formed Led Zeppelin at their first gig at The Marquee Club on October 18th 1968. The band signed to Tuesday Productions and recorded a sole eponymous album which was released on Harvest Records in November 1969. A promising live attraction, their career ended when Clem Clempson departed the group to replace James Litherland in Colosseum in 1970. This Esoteric Recordings release has been newly re-mastered and features five bonus tracks (including a B-side of a single and four studio out-takes), a booklet that fully restores the original album artwork and a new essay.